Through 5/9, Kroger is having a Mega Savings Event! When you buy four participating items, you will save $4 instantly! 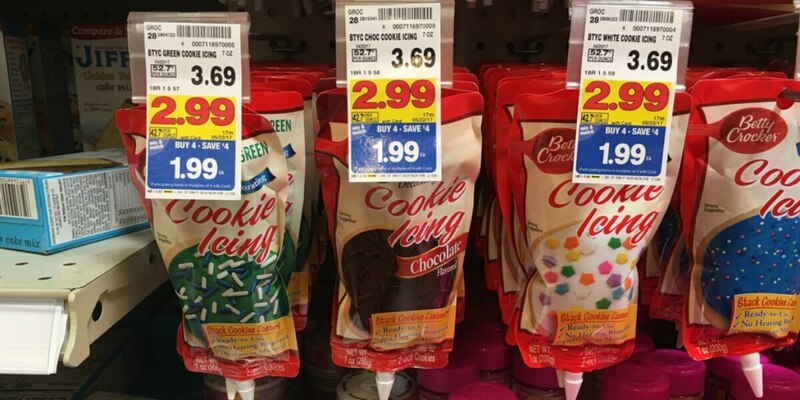 During this event, Betty Crocker Cookie Icing is on sale for $1.99 after instant savings! There is a $1/1 Betty Crocker Decorating Items coupon from the 4/2 Smart Source insert that we can use with this sale, making these just $0.99 after coupon and instant savings!